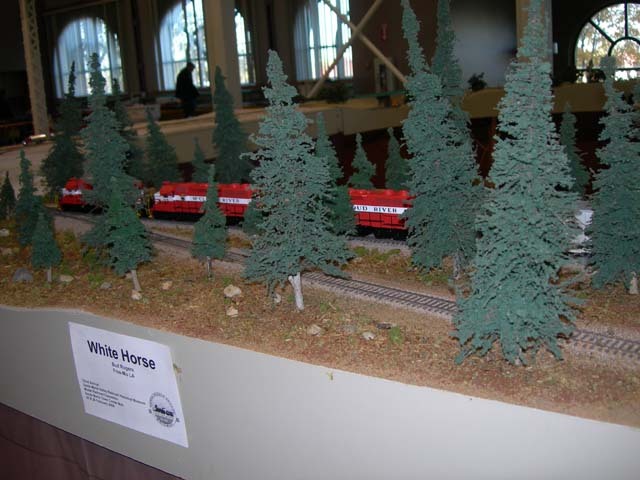 One of the easiest methods used by model railroaders to share their hobby with the public is through modular model railroads. Most traditional layouts are large rigid assemblies that are permanent fixtures in the space they are built in. Modular railroads are made up of a series of independent units- called modules- that can be easily transported from place to place. 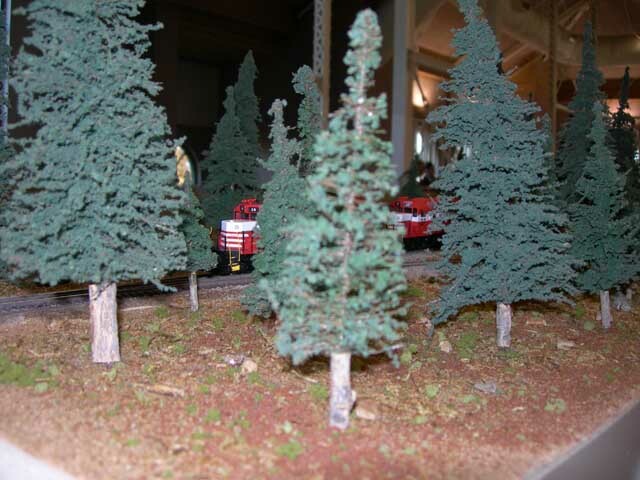 Common engineering standards ensure that modular railroads can be assembled from individual modules. 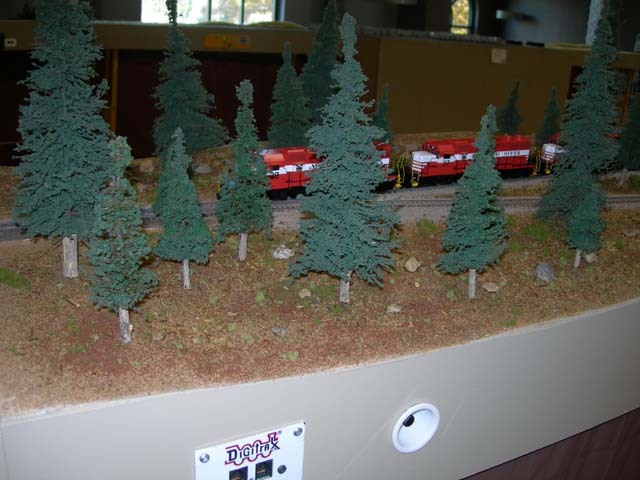 Some modular railroads are owned by a club, but more typically club members build their own modules. 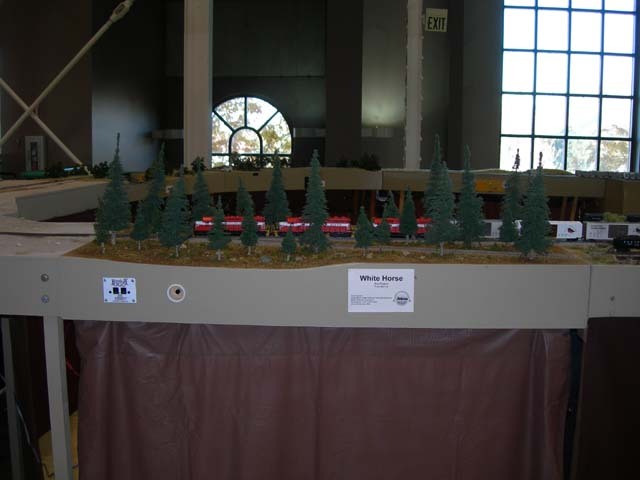 Bud Rogers of the greater Los Angeles area has built a module based on White Horse. His module travels around to various events in the western United States. 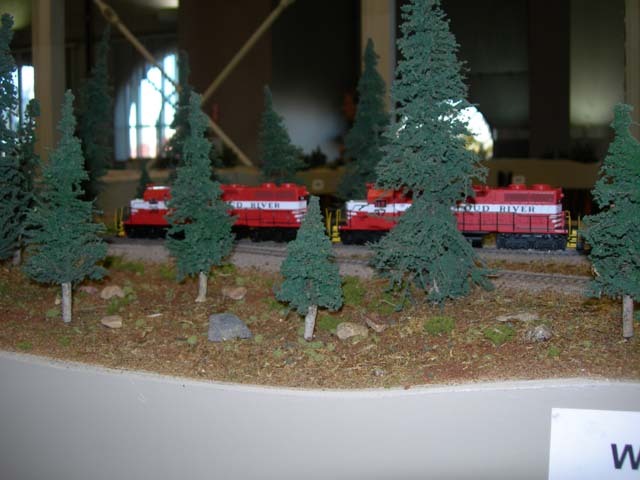 These photos feature a trio of Athearn's McCloud River SD38's posed on Bud's module at the Wasatch Rails show in Salt Lake City, Utah, in November 2007. All photos by Jeff Moore. Bud hopes to build a second McCloud based module in the future, to be based on Lookout Junction. An overview of Bud's White Horse module. 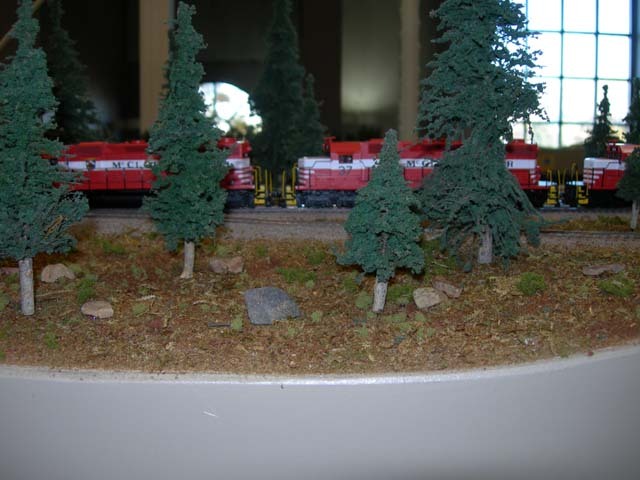 Bud's McCloud River train set can be seen through the pine trees. 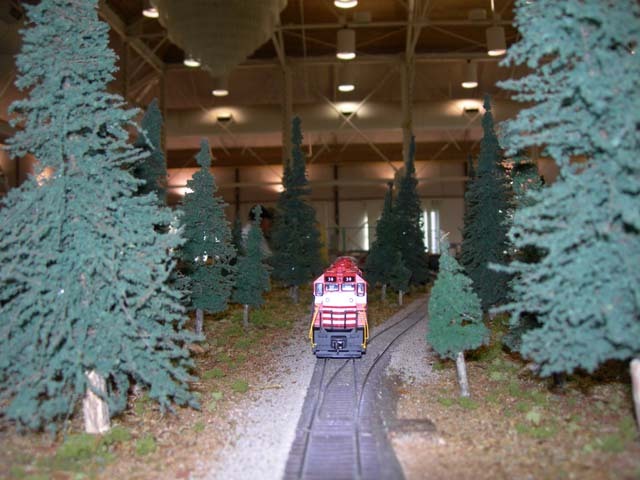 Another view of the train through the trees. Trackage on the module is simple- the train sits on the mainline, with one short spur visible in the foreground. The view looking down the tracks at the oncoming train, with the spur to the right. Another view of the train on the module.